Anxious astronomers (Pablo Pérez González & Jaime Zamorano) wait for better seeing conditions to observe their targets with GTC, the biggest optical telescope. These observations are part of the SHARDS ESO/GTC Large Program. Three new prisms arrived on January 11 at LICA. These, along with three others, will be used to construct a new sliced-pupil prototype for MEGARA. This is part of the project between UCM and FRACTAL S.L.N.E., in order to create high resolution gratings (R=17.000). AstMon-UCM is a new instrument to study the quality of our night sky and the light pollution. This project is being carried out by the Astrophysics Department in collaboration with the Department of Atomic, Molecular and Nuclear physics of the UCM. 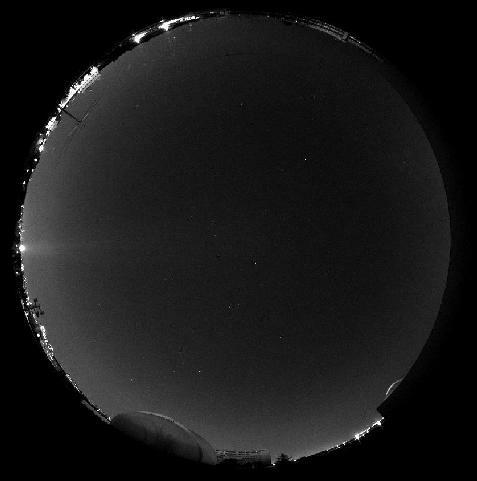 AstMon, that is located in the UCM Observatory (at the top of the Physics building), uses its CCD camera to take images in different photometric bands. Real time images are available at Cielos de Madrid. 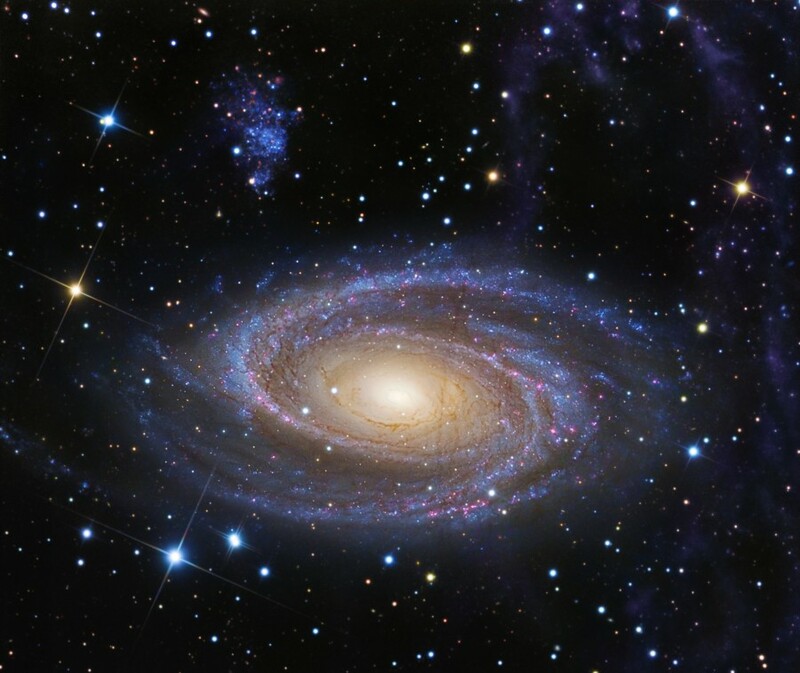 Imagen astronómica del día (APOD) 9 de diciembre de 2010 donde se muestra un brazo de marea sobre la galaxia espiral M81. Esta estructura llamada Arp's Loop se cree que fue arrancada de M81 en su interacción gravitatoria con M82. Armando Gil de Paz colabora en esta ¡nvestigación. In November 25th, CAM's Council for Industry (Consejeria de Industria de la Comunidad de Madrid) members visited our Laboratory for advanced scientific instrumentation (LICA), where they could check the work being carried out by our researchers.